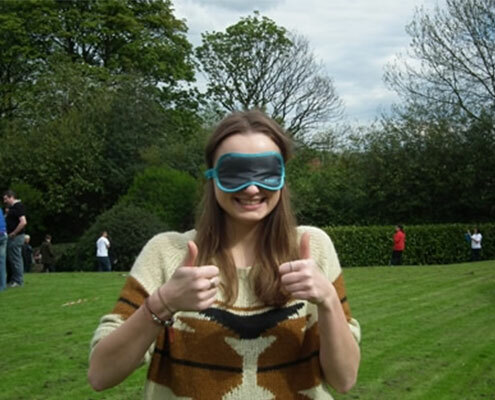 Are you looking for a team building activity that can engage and entertain your colleagues? from Ancaster Leisure will deliver just that. 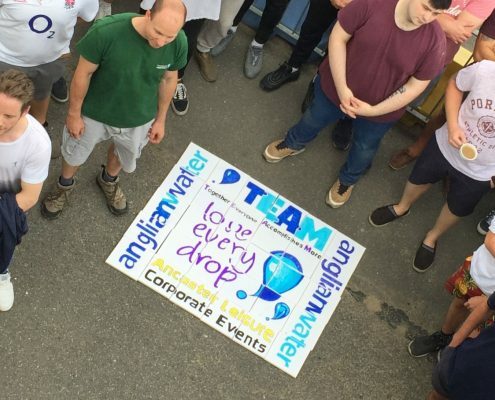 Our aim is to engage and motivate your employees with every event. Please feel free to contact our events team about any aspect of the services we offer. 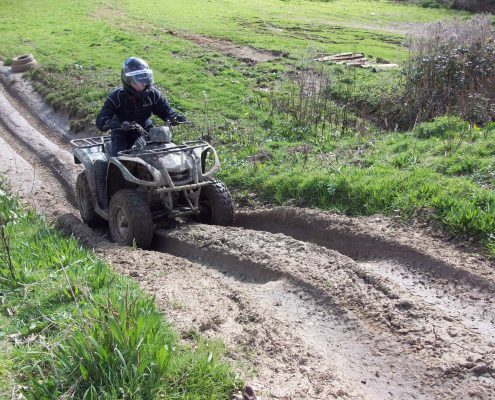 From 270cc 50mph karts to quads, marksmanship, laser tag, paintball and ten-pin bowling, are just a few of what we can offer. 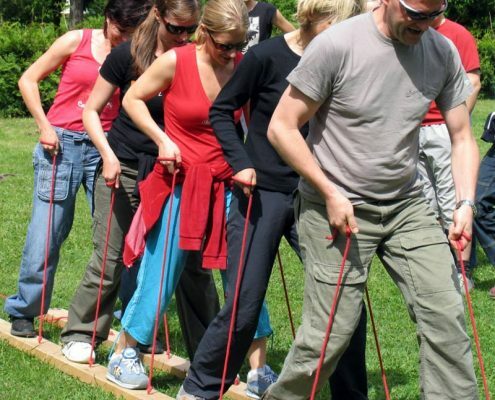 Along with our selection of team work challenges such as Minefield and Swamp cross. 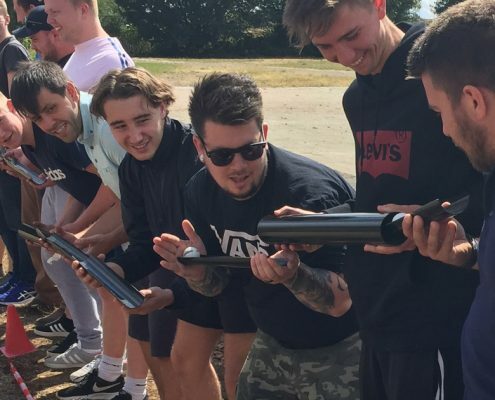 Whatever the occasion, we work ‘with’ our clients, not ‘for’ them to create events and experiences that can target specific learning outcomes, whilst also being incredibly fun and engaging. The team has come to a battlefield that has been laid with mines. One person at a time must attempt to cross the battlefield without stepping on a mine. Once a team member steps on a mine, they must return back to the start position and the next person must try to navigate their way across the minefield. The team must cross the swamp, without touching the crocodile infested swamp floor. Teams must use the raft, rollers and wooden skies provided to cross the swamp. This is a timed game, and lose of points will occur for touching the floor throughout the game. Getting negative points in this game is highly likely! Your team must get as many golf balls as possible from the start point to the end zone. However they can only use the pipe work provided. All team members are allowed 2 sections of pipe. Once the ball is in your section, you can no longer move your feet. This is designed to concentrate on working together as a team and communication to get an effective pipeline. One member of the team must be nominated to be the Shepherd, everyone else is sheep. The object of the game is for the shepherd to guide as many of their sheep as possible into the pen. However all sheep are blindfolded and scattered around the field. The shepherd is not allowed to use verbal commands, and only 1 sheep is allowed to be guided at a time. You will be given a whistle to aid, however you must then find another form of communication to move your sheep. Teams are put against each other in the longest serving strength test. 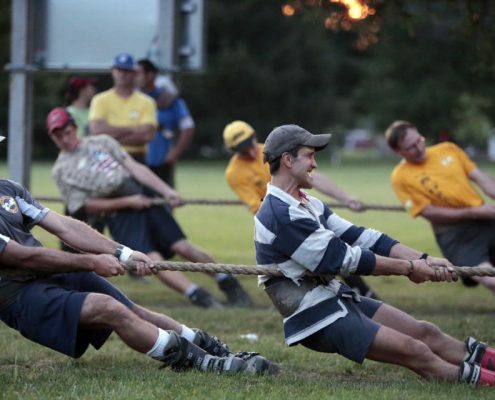 This will test your strength, stamina and most of all team pulling power. The best of 3 wins. 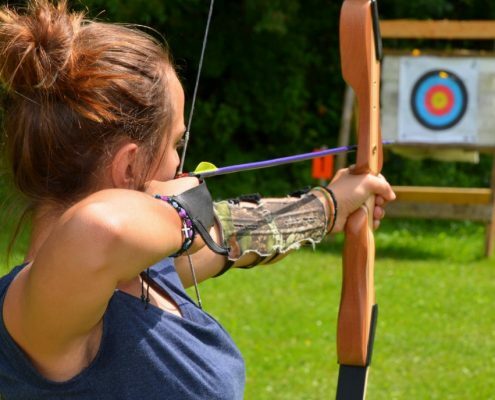 Archery is a great activity suitable for everyone. It will test your skills, but is fun no matter what your ability. Our staff will brief and demonstrate the correct shooting stance, pull and aiming techniques, before you, yourselves will be trying to become Robin Hood. Once you have your eye in, we will have a scoring round to go towards your final score. This activity will test your shooting ability, with a choice of targets, cans, ducks, zombies and golf balls. 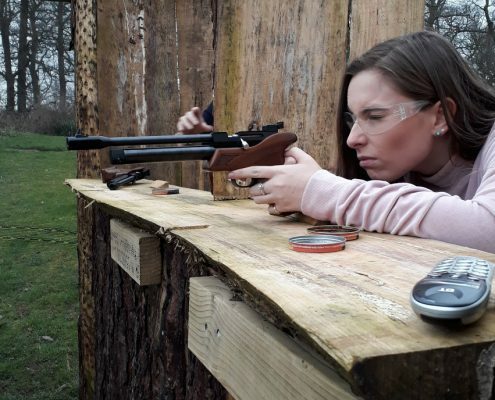 There is plenty for you get shoot at and get your eye in on the target. Once briefed on shooting and safety, will be allowed some practise time before heading into a 10 shot show down. Once kitted up, they will be taken through a safety briefing and tuition on bike handling. Once all are competent at handling in the car park, we head off on the trek. This will be a combination of woodland trail and off road course. All by following an instructor in single file. Teams will be picked, kitted up with guns and headsets and briefed. 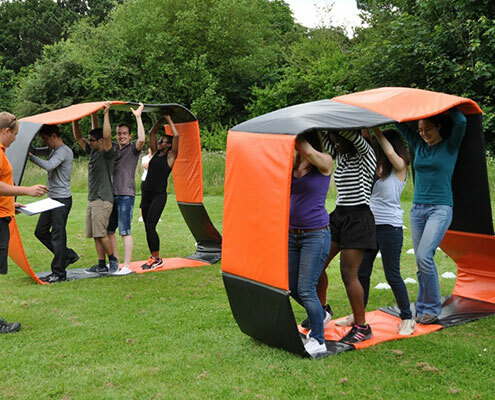 With a variety of objective based games, you will be running around our inflatable playing field for cover. For larger groups you will be split into small teams and put against each other in a series of fast 5 minutes games, in a round robin tournament. Points are awarded for a Win and draw, nothing for a loss. 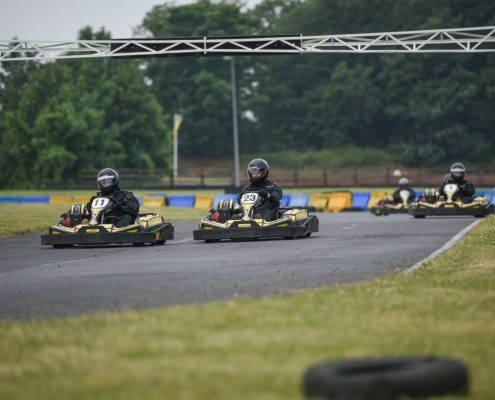 Using our fleet of 270cc Biz Evo karts, reaching speeds of 50mph+. You will be racing against each other on our outdoor circuit. 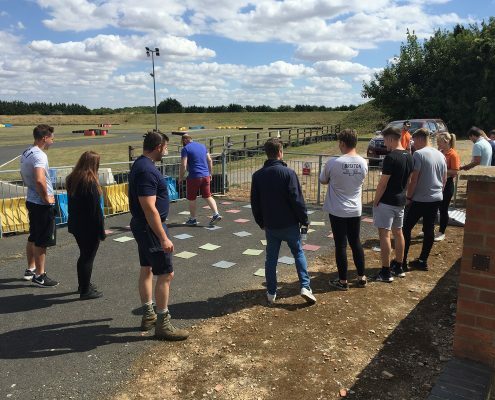 With numerous circuit options and even floodlit course for those evening events, we have lots to test your driving skills on. You will be racing for that podium finish. Top three finishers will receive our Ancaster Leisure race awards. 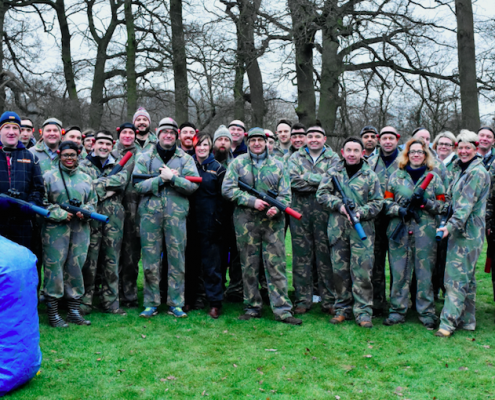 Using our 40 acre woodland playing fields, you will be kitted up, split into teams and briefed. Over our 8 different playing fields all with numerous game objectives, you will be in a battle to the end!! 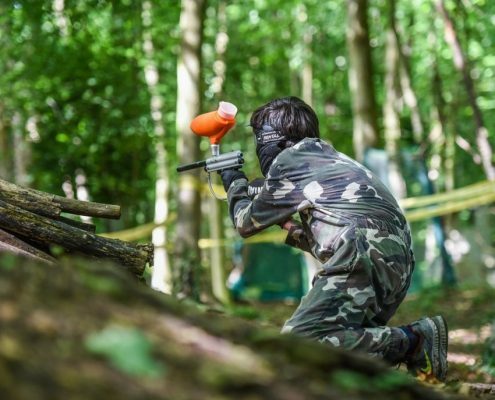 With bunkers, forts, bridges, barricades and much more, there are plenty of places to duck for cover or mount an assault on the opposing team. All participants will have 400 paintballs included in this package. Our Hardest team coordination game. Timing is everything. Race your team across the finish line. An interactive and cryptic quest to find clue to lead you to the final location. Team work, time management and problem solving are the main focus. 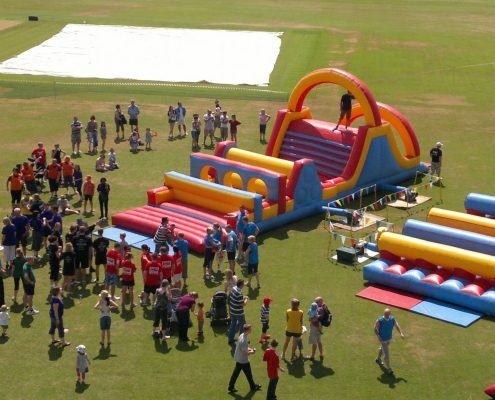 Battle away in school sports day style events, huge inflatables, foam and loads of fun, the aim is simple – score points! 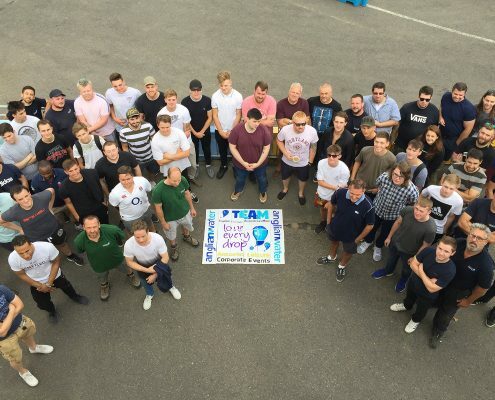 Your team will be split into small groups and be given the task of replicating different sections of artwork. This work of art is yours to take away once you finish. and check our page for the best accommodation.